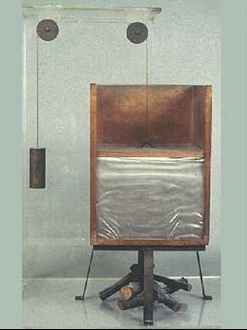 To even begin to consider Leonardo Da Vinci invention, you have to also look at what else this one man accomplished. Leonardo is considered to be “The Renaissance Man.” He was an architect, anatomist, sculptor, engineer, inventor, geometer, musician and painter. 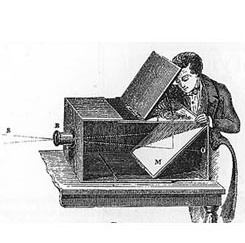 Leonardo's invention came from the fact that he was infinitely curious. Leonardo kept notebooks throughout his life, in which he wrote daily. He wrote about his sketches, inventions, architecture, elements of mechanics, painting ideas, human anatomy, grocery lists and even people that owed him money. 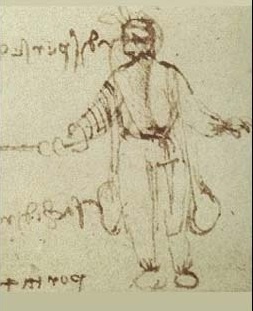 Showing his curiosity, Leonardo often made lists of things he wanted to learn more about, and he usually started these lists with the phrase, "Tell me." It is purported that Leonardo had over 13,000 pages of notes by the end of his life - some of course outlining his many inventions. 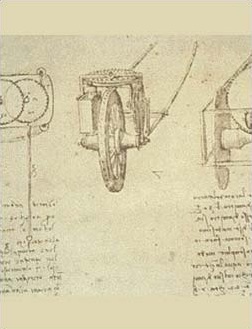 Leonardo Da Vinci invention covered many different fields - from military applications to flying machines, from “robots” to clocks to automobiles. Keeping such vast records of his inventions has helped us find them - and also serves to show that a “true inventor” keeps a journal of his ideas (like I have pointed out on other pages - hint, hint). Leonardo's inventions were pretty safe in his notebooks in that they were written in mirror image - that is, right to left and backwards. Some say the pages were written this way to keep them secret - but others say that it was just easier for leonardo to write - since he was left-handed (yay) and writing that way didn’t smear the ink, and the quill pen was easier to pull than to push. Leonardo - the first Roboticist? A lot of Leonardo Da Vinci invention does not work when people try to work off of his notes. 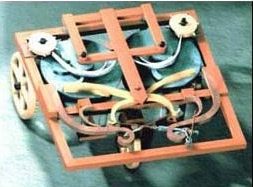 Roboticist Mark Rosheim has spoken of his theory that Leonardo’s sketch of a spring driven cart was actually a robot. 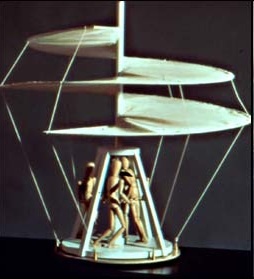 Rosheim built a model according to Leonardo’s sketch - and it worked. Meet the modern version of a similar robot - the iRobot Roomba Discovery, a robotic vacuum cleaner. The Roomba Scheduler robotic vac makes quick work of minor cleanups and daily floor maintenance, and lets you schedule to clean at preset times of your choosing. Wouldn’t Leonardo be surprised by the modern equivalent? 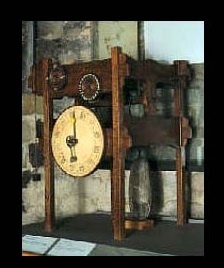 Da Vinci's "Clock at Chiaravalle" has dials for minutes, hours and moon phases. Remember - this was in the 1400’s. Designed for keeping you rocking to the beat during jogging or other exercise routines, the Nike/Philips PSA220 digital audio player features everything you need to keep you motivated and in motion. It has a 256 MB internal flash memory, which can store up to four hours of CD-quality MP3 files or eight hours of CD-quality WMA. Additionally, it features audible feedback to let you hear time, distance, and pace stats during your workout. Using a wireless speed and distance sensor, data is stored on the player and later can be uploaded to the nikerunning.com online training log (via a wireless Bluetooth connection between the player and your PC or Mac). Using the very latest in digital technology, the Bodylink System is a network of up to 4 devices worn on the body that act together as a single information and sport monitoring system. The Timex Ironman Triathlon Bodylink Performance Monitor is the essential element to the Bodylink System by providing real-time workout data. It teams with the Timex Digital Heart Rate Sensor and the Timex Speed + Distance Sensor to simultaneously provide comprehensive performance feedback. "For once you have tasted flight you will walk the earth with your eyes turned skywards, for there you have been and there you will long to return." The above examples of Leonardo Da Vinci invention only scrape the surface of Leonardo’s accomplishments. He was a brilliant man - probably one of the most brilliant in history - and probably topping his American counterpart - Benjamin Franklin.